Often, when the baby comes to the world, the parents are confused about what to do and how to provide the baby with good care. But, eventually, they figure it out, with help from doctors, books, friends, their parents etc. However, when it comes to babies with specialized health needs, the parents need help from experts to raise the baby properly. 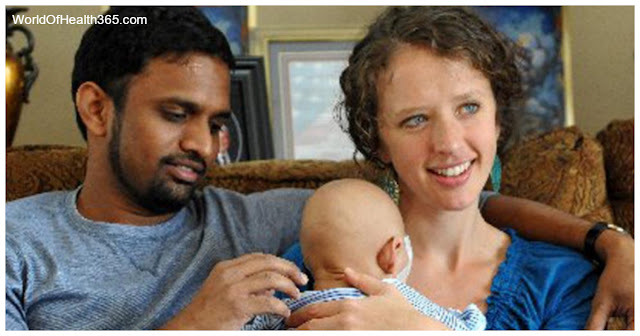 Adam is a baby that was born in a hospital in India and was one of the rarest cases the doctors have encountered. Upon his birth, Adam had no eyelids, nose, or hands, and his legs were fused together. Due to their tradition, the parents were ashamed to take the newborn home. Aware of the situation, the doctors let them keep the baby in the hospital and look for a solution for their baby. THEY FOUND A CRANIOFACIAL SPECIALIST IN NORTH CAROLINA THAT WAS SUITABLE TO PREPARE A PLAN FOR BABY ADAM’S CARE. THE DIAGNOSE WAS AN EXCEPTIONAL GENETIC DISORDER BARTSOCAS-PAPAS SYNDROME AND HE HAD TO DO SERIES OF COMPLEX SURGERIES. “Is he going to be perfect? Yes, he’s already perfect. said Adam’s doctor, John van Aalst. Two workers of the hospital, Raja, and Jessica Paulraj grew closer to the baby and had so much love for the baby. They were sad that because of the tradition the baby couldn’t be accepted the way it was. The couple decided to adopt the baby as their own and seek out the absolute best medical care that they could find. ADAM’S COMMUNITY HAS COME UNITEDLY TO RAISE OVER $100,000 TO GIVE HOPE, AND POSSIBILITY TO MAKE THE SURGERIES. We with you the best Adam!